Earlier this week, UFC flyweight champion Henry Cejudo made some rather hostile remarks about his next challenger, slimmed-down bantamweight champ TJ Dillashaw. Cejudo seemed particularly concerned about Dillashaw’s flyweight physique, and whether or not the bantamweight champ will hit the 125-pound flyweight limit for their Saturday night fight. 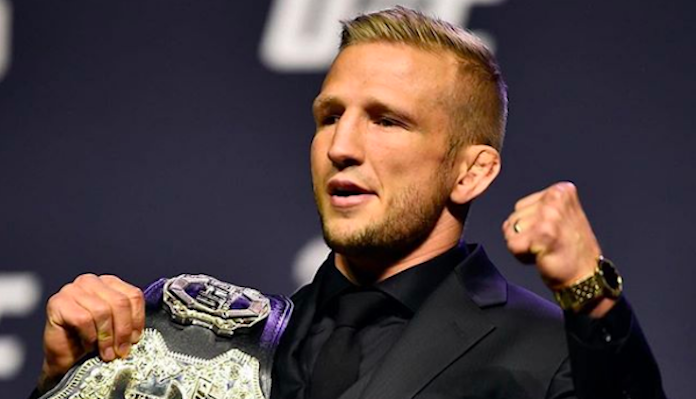 Speaking at the open workouts for their fight this week, TJ Dillashaw clapped back. He believes Henry Cejudo is just hoping he misses weight because he’s scared. Who do you think will come out on top when Henry Cejudo and TJ Dillashaw collide for the flyweight title on ESPN+ this weekend? This article first appeared on BJPENN.COM on 1/17/2019.